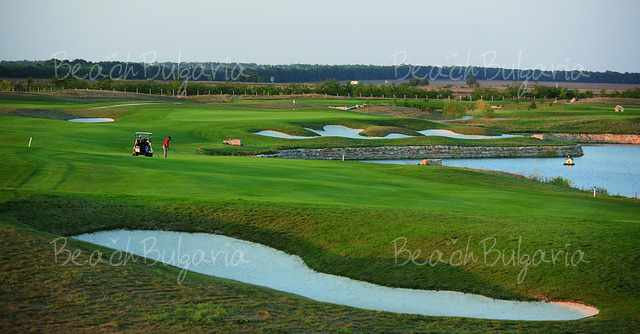 The Lighthouse course is the first championship golf project of Ian Woosnam in Bulgaria. The prestigious golf course is a links style course combined with traditional design and is the signature feature of one of Europe’s premiere sport, leisure and holiday resorts. The ideal temperate climate is perfectly suited to the lush landscape of the course and the aficionado or enthusiast who takes to the fairways here. The Lighthouse Golf club is located on a spectacular plateau with breathtaking sea views on the outskirts of the picturesque town of Balchick. Lighthouse Golf Resort Tee Off at the 18-hole signature membership Par 71 - championship golf course designed by Ian Woosnam Raider Cup Captain. Overlooking one of the most beautiful national scenery. Embedded by 5 designated residential units and a golf academy. The Lighthouse course is the first championship golf project of Ian Woosnam in Bulgaria.The latest technology is being used in the construction of the golf course, both for the design of watering and drainage systems in order to optimize water consumption and recycling.All this facilitates a combination of sporting excellence with the highest levels of environmental conservation. Within the Golf Course Complex, ‘The Lighthouse Golf School’ will comprise of practise ground, putting green, bunker area and pitch ‘n’ putt. - 18 holes design by Ian Woosnam and E.G.D. - Buggy, electric trolley and pull trolley rentals. Please, post a comment on Lighthouse Golf Club & Spa resort.